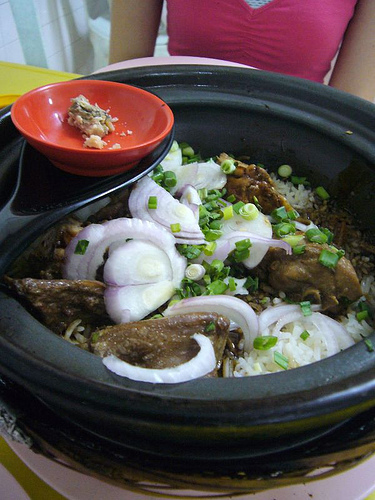 Claypot chicken rice is a very popular Cantonese dish amongst the Chinese community in Malaysia. There is nothing more comforting than a plate of warm, hearty, and fulfilling claypot chicken rice, eaten together with chopped cili padi and a splash of soy sauce. Fluffy grains of rice, together with marinated pieces of chicken and sliced Chinese sausages are cooked in a claypot fuelled by charcoal fire. A generous drizzling of each eatery’s secret sauce, chopped scallions, julienned ginger, and the occasional salted fish give this dish that extra umami (pleasant savoury taste). Stir everything together and you are in for a real treat. 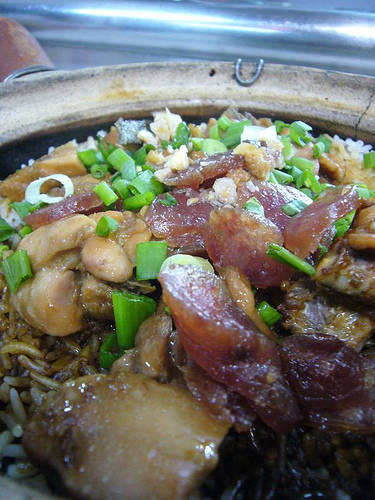 No one can resist the wonderful aroma and flavourful taste of a good serving of claypot chicken rice. 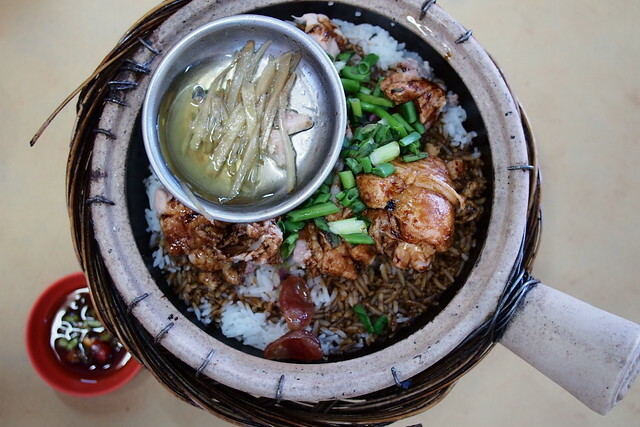 Here’s our take on four of the best claypot chicken rice you can find within Klang Valley. Heun Kee Claypot Chicken Rice Having been in the business since 1985, Pudu’s Heun Kee is a famed institution when it comes to claypot chicken rice even if we’re required to brave the notorious Jalan Yew traffic jam. It is hard to miss this place as you will be greeted by a lot of charcoal stoves and claypots at the shopfront. Each pot of rice (RM9, single serving) is cooked to order here, so it will take a while for you to get your food during peak hours. However, the waiting time is totally worth it. The rice is cooked to perfection – so loose and fluffy with a layer of aromatic crusty rice at the bottom of the pot. The marinated chicken pieces were also cooked just right – so juicy and tender. The secret to this perfection lies in the two-way heat system; the claypot base was heated using charcoal whereas hot coal pieces were also placed on top of a metal lid that is used to cover the claypot during cooking. This ensures that the flavours and juices from the chicken are further sealed in, resulting in a more flavourful and fragrant dish. As you stir everything together along with the bits of salted fish, the aroma is bound to tickle your palate. Dig in and enjoy! Heun Kee’s claypot chicken rice is also available in Taste Enclave, Avenue K. We have tried both and the quality is consistent. 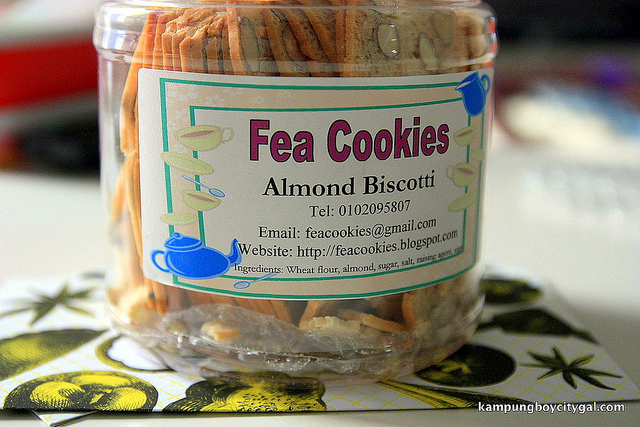 Address: No 59, Ground Floor, Jalan Yew, Pudu, 55100 Kuala Lumpur. Business Hours: 11.00am – 9.30pm. Closed every 1st and 3rd Thursday. 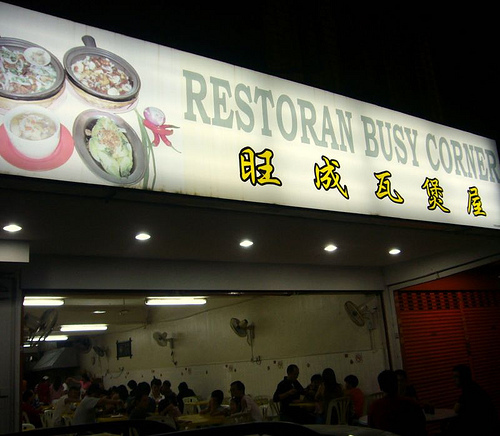 Just like its name, Restaurant Busy Corner is always bustling with patrons. 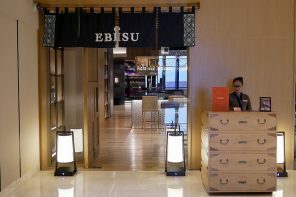 This restaurant is located along the same row as Petronas in Damansara Jaya so it is not a difficult restaurant to find. 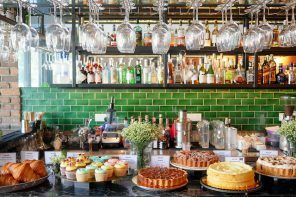 When it comes to their menu and offerings, variety is the key here. 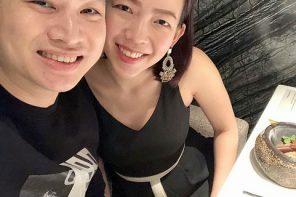 Other than the usual claypot chicken rice; one can opt for claypot prawn rice, claypot beef rice, and soupy dishes that go very well with rice and is hearty enough to be a main course if you wish to. Their claypot chicken rice (RM7.50, small) has always been our favourite. It is amazing how the simplest of ingredients are transformed into an amazing one-pot meal! I love scraping the crusty bits off the bottom and the well-marinated chicken is both tender and flavourful. However Busy Corner does not serve lap cheong (Chinese sausages), and that is my only gripe. 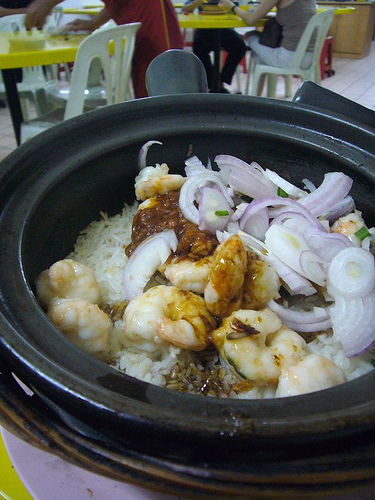 The claypot prawn rice (RM13, small) is another favourite of ours. It comes sizzling hot with a generous serving of peeled prawns, a good sprinkling of raw onions, and spicy sour sauce on top. Give it a good stir and voila! You get a great combination of soft and fluffy rice coated evenly with the Thai-style spicy sour sauce, half-cooked onions and fresh succulent prawns. Choong Kee is just a couple of hundred metres from Restoran Busy Corner near Atria shopping centre. 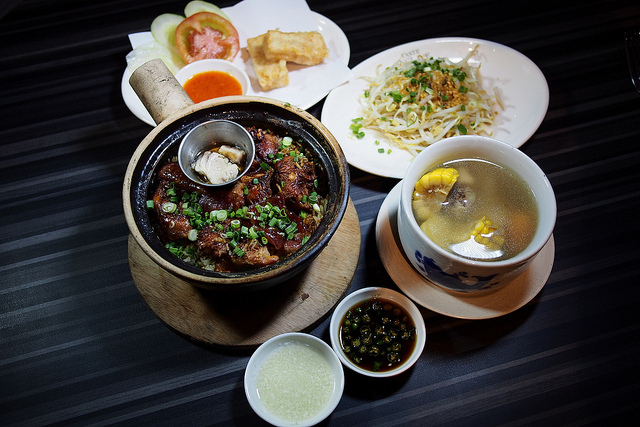 It is a no-frills claypot chicken rice restaurant with a number of soupy dishes. 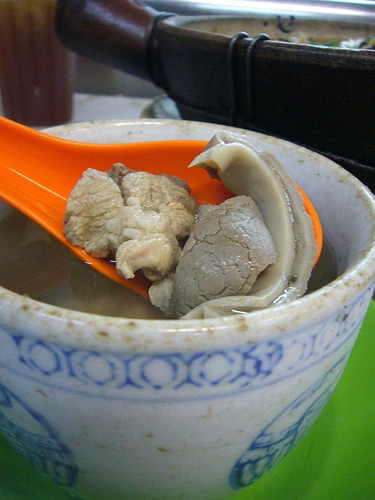 Their pork stomach soup is deliciously peppery, with a light tangy taste due to the preserved vegetables. I liked how the pieces of pig stomach were tender and slightly chewy. Choong Kee’s claypot chicken rice with salted fish and Chinese sausages (RM9.50, small) is a must-order here. As you can see, Choong Kee does not skimp on the ingredients as the rice is topped with a generous amount of chicken pieces and Chinese sausages. I also liked how the Chinese sausages added a mildly sweet taste to the rice. Fuelled by charcoal fire, the fluffy and moist rice was cooked just right and delivered a delicate smoky flavour with a slight hint of sweetness. Address: No. 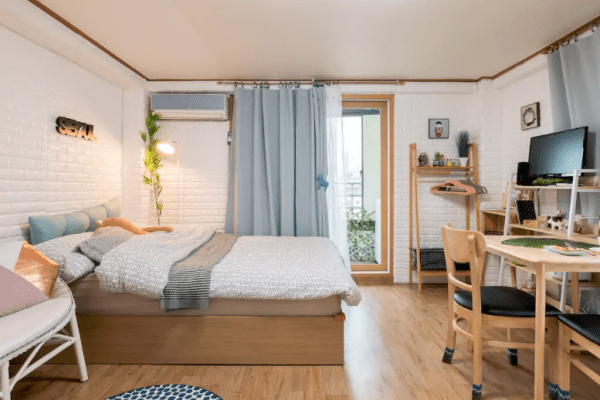 80, Jalan SS 22/25, Damansara Jaya, 47400 Petaling Jaya, Selangor, Malaysia. 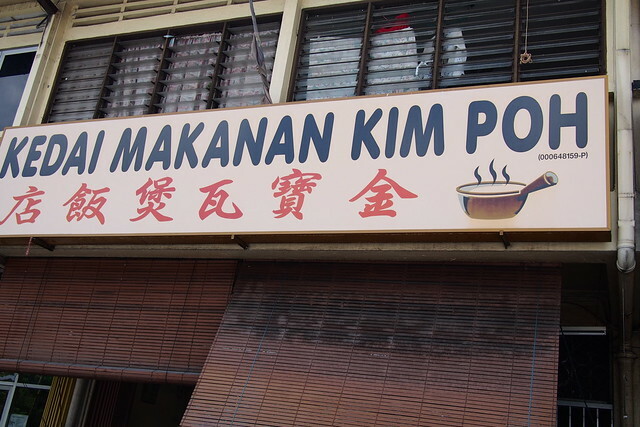 Kedai Makanan Kim Poh originated from Kampar town, hence the founder translated the name Kampar to Kim Poh in Hokkien dialect. 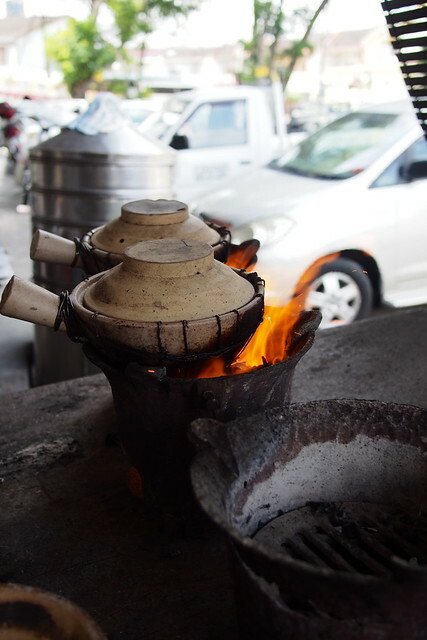 It is also our favourite place to go for claypot chicken rice, as the owner still overlooks the cooking personally. 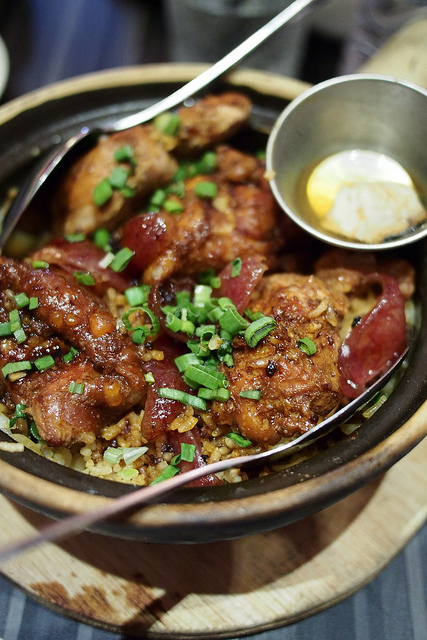 Their famous aromatic claypot chicken rice (RM7.50, small) with dark sauce that is filled with the owner’s secret recipe for its tender chicken is a must-try here. The chicken pieces are extremely delicious as the owner uses her own secret sauce that consists of dark soya sauce, soya sauce, Chinese wine, and sesame oil. The rice was also cooked to perfection, as we always fought to scrape the bottom for every bit of the charred rice stuck there. 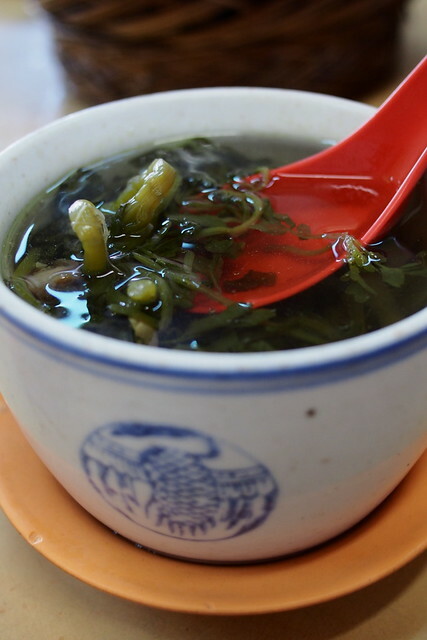 Remember to try their nourishing and cooling bowl of watercress soup. Having this delicious clear soup is the best way to cool down our heaty bodies. Hi, I have been to your post 2 of them closed Chong Kee supposed close on Wednesday but I go on Tuesday. It closed. Kim poh closed also on Sunday.. omg!